The new Fantastic Beasts franchise by author JK Rowling is set in the same universe as the previous eight Harry Potter movies. 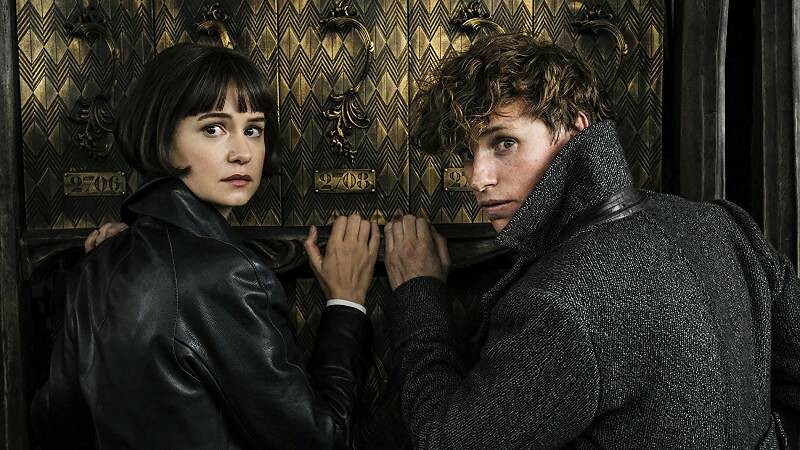 The second instalment of the series, after 2016' Fantastic Beasts and Where to Find Them follows the magical adventures of Newt Scamander (Eddie Redmayne), embarked in a quest to stop dark wizard Gellert Grindelwald (played by Johnny Depp). 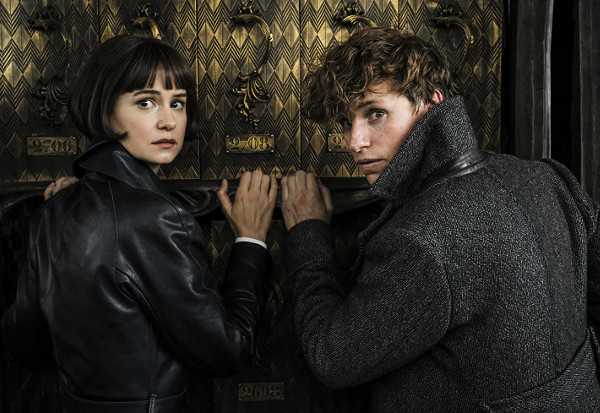 The magizoologist will team up with Tina (Katherine Waterston, who also starred Alien: Covenant) and young Albus Dumbledore (Jude Law), teacher of the wizarding school Hogwarts. 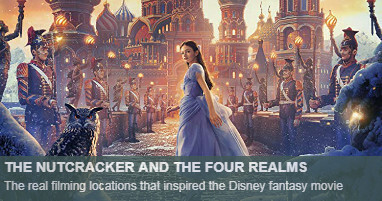 The film features many connections between characters and story lines with Harry Potter's world. 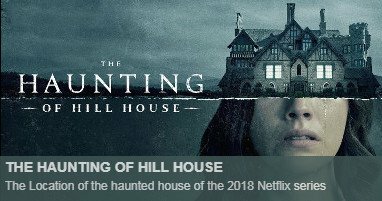 David Yates, who directed the last four Harry Potter movies and the first Fantastic Beasts film, is in charge of this superproduction too. 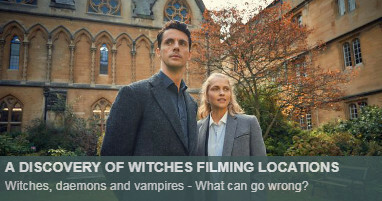 Fantastic Beasts 2 returns to the legendary Hogwarts School of Witchcraft and Wizardry. 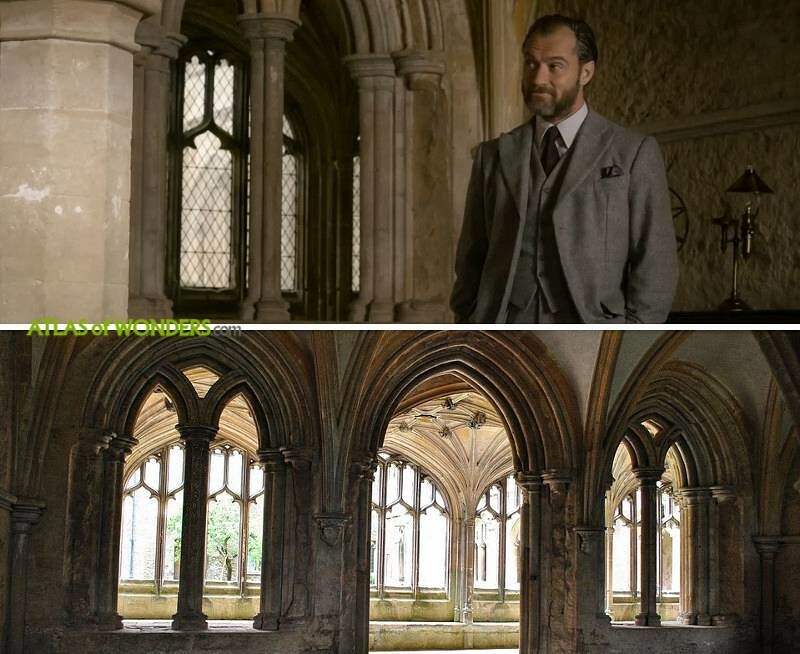 Some scenes where filmed at Lacock Abbey, a country house which used to be a monastery, located in Wiltshire near Bath. 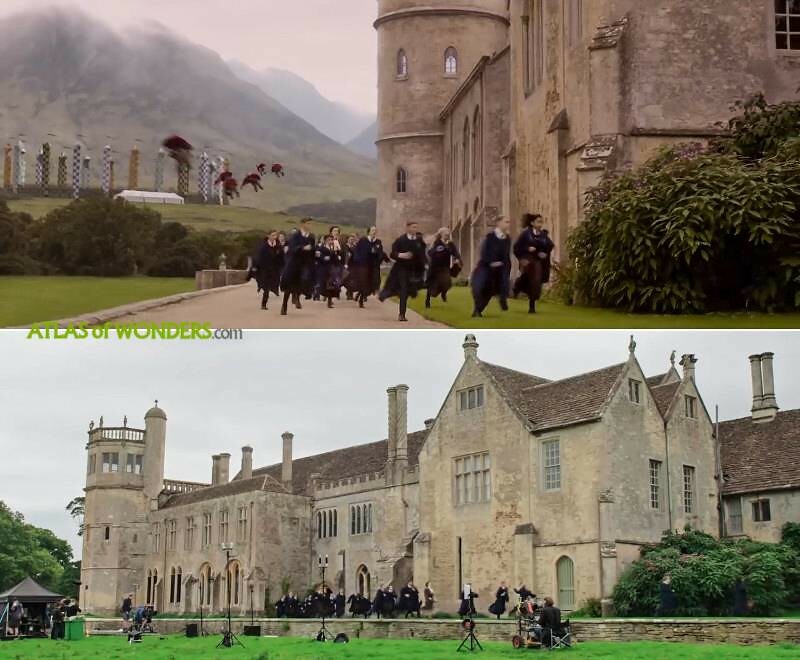 The establishing shots of Hogwarts with the lake and the bridge are all CGI creations. 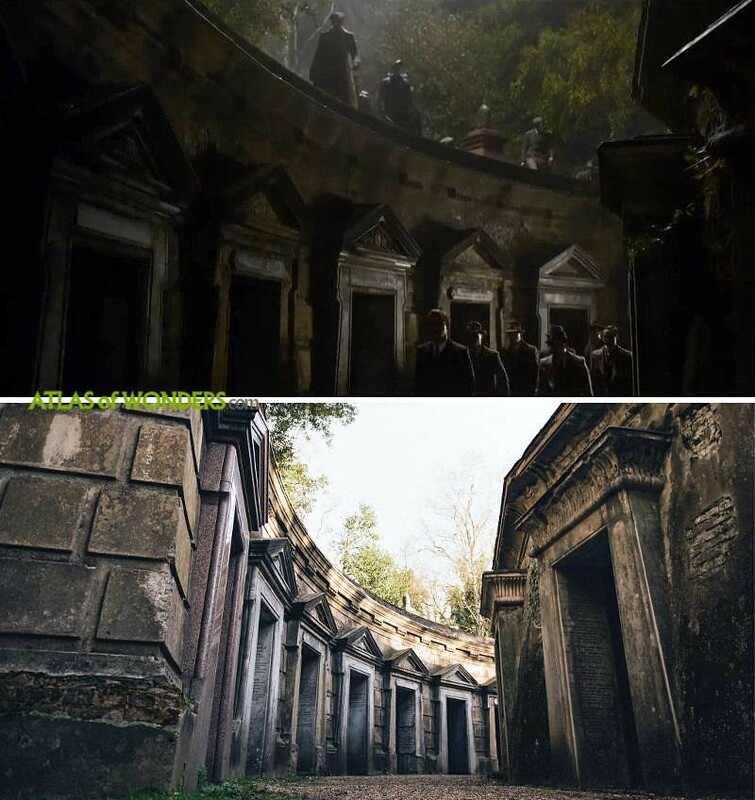 The historic Highgate Cemetery was the perfect setting to film the entrance to the Catacombs of Paris. This Victorian burial ground is hosting some of the most interesting funerary architecture in the world, and is the final resting place for many prominent figures, from Karl Marx to George Michael. The design in steel and glass of the French Ministry of Magic, blending Art Nouveau and Steam-punk styles, is inspired by Le Grand Palais, located in the Champs-Élysées in Paris. 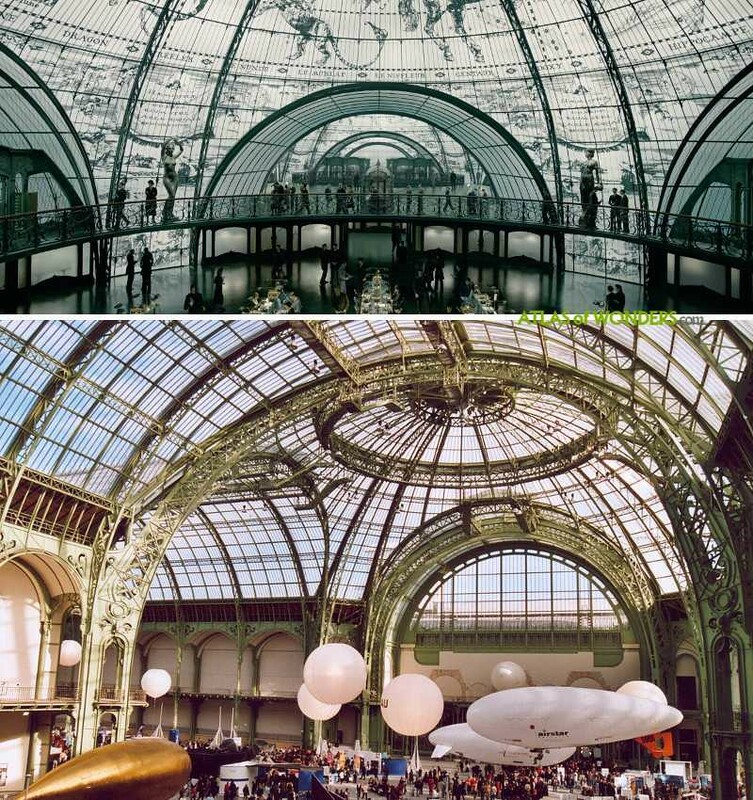 The real location of this stunning exhibition hall was recently featured in the blockbuster Mission: Impossible - Fallout. 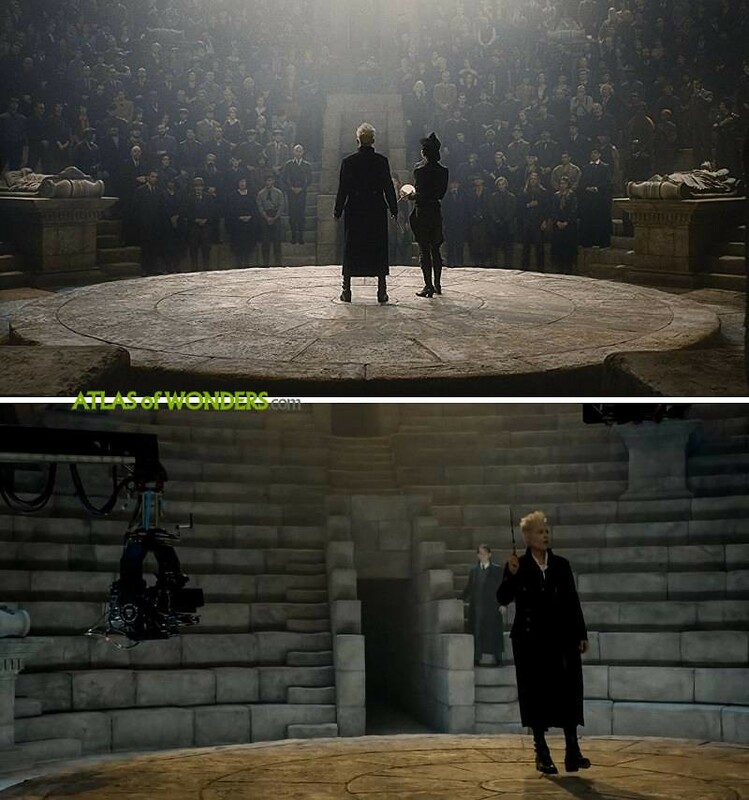 Art Director Martin Foley commented that this was the most challenging set to build at the studios in Leavesden for the movie. Some detailed streets of the French capital were also reproduced in the studio (the outdoor French Diagon Alley set), filled with stores, an apothecary, and a female statue in a little square that is the portal into the wizarding Paris. 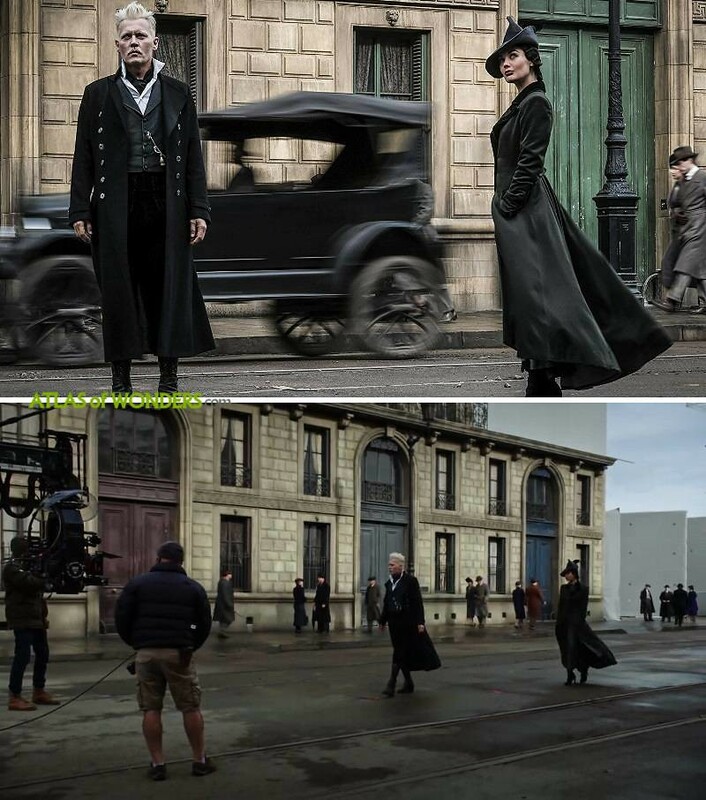 Also a little section of Place de la Concorde and a roof next to the Eiffel Tower (Credence’s hideout), were created in a set and completed in post-production thanks to CGI imagery. 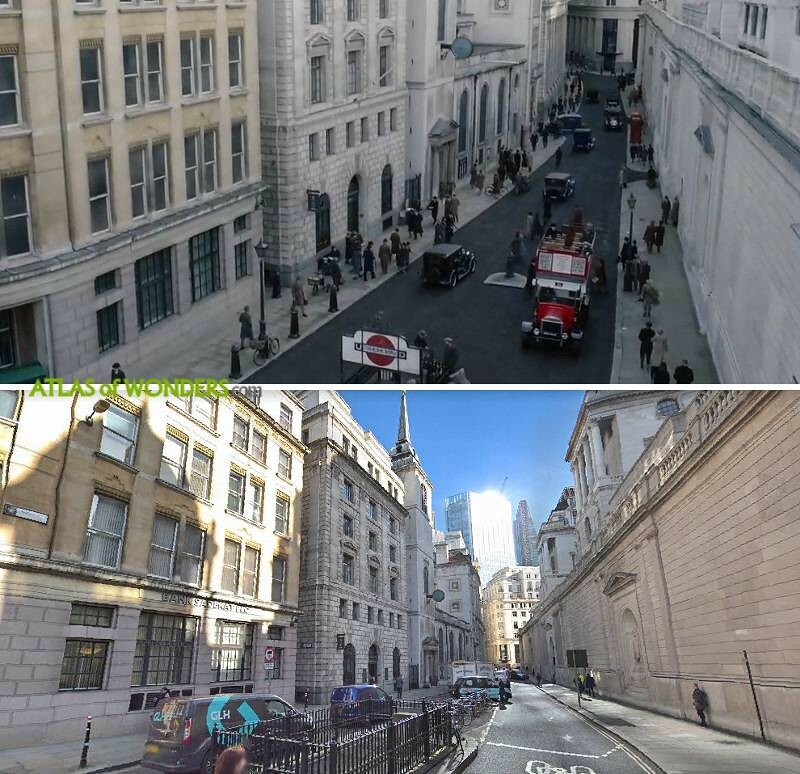 Can you help to improve this article about the filming locations of Fantastic Beasts: The Crimes of Grindelwald? To complete and correct this report, any feedback, info or images that you may have are more than welcome, thank you! 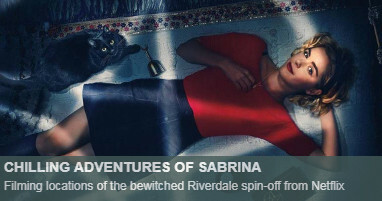 I'm pretty sure that's Seven Sisters in East Sussex and not the White Cliffs of Dover. Thanks a lot, you are right. Updated!